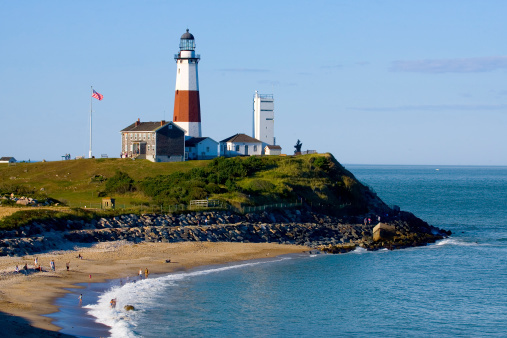 From wine country to spectacular beaches and lovely villages, Long Island is renowned for its bustling urban life and its spectacular rural vistas. When you’re living in Nassau or Suffolk counties, you’re living in a truly beautiful environment, one that’s the envy of visitors from around the world. Whether you’re living in a seaside cottage or a historic home, your gutters need to work for you. You take pride in your home and you want to make sure that it is protected, whatever the weather. Long Island customers in Nassau and Suffolk counties can benefit from our Gutter Helmet and Helmet Heat products. No matter how hard the rain might fall, your gutters need to work for your home. No matter where you live, Gutter Helmet ensures that your gutters run well at any time of year. In the fall, gutter covers keep your gutters free of leaves and needles, ensuring that water will flow easily through your gutters and downspout without causing damage to your roof, siding, or paint. In the spring, installing a gutter guard protects against visits by rodents, birds,and wasps who may nest in backed-up gutters. You have better things to do than clean your gutters. Install a Gutter Helmet, and you won’t need to clean them. Why use a gutter guard system? Whether you’re a busy parent, vacationing, or enjoying a well-deserved retirement, you have better things to do than clean your gutters. When you use gutter covers like Gutter Helmet, you don’t need to worry. Gutter Helmet prevents leaves from accumulating in the first place, so that you can spend your gardening time doing activities that you love. Your home will remain protected from leaks using our gutter cover technology. How do we know that we can protect your home? Our gutter system is installed by local experts. We know Nassau and Suffolk counties, and we have more than 34 years of experience working with homes in your area. Through rain and snow, we’ll make sure that water moves away from your home and that your property is protected. Of course, living on the east coast also brings concerns about the winter. While Long Island’s climate is mild, a milder climate doesn’t mean that you’ve escaped the winter weather entirely. Long Island may experience more moderate temperatures than much of New York, but snow and seasonal storms leave their mark, damaging your drainage systems and causing problems in and around your home. On a cold night in January, ice can accumulate in your gutters, causing water to backup into your roof, walls, and eventually down into your foundation. The integrity of your gutters plays an important role in the integrity of your home. If you’re concerned about ice accumulation in your gutters, consider installing Helmet Heat, a self-regulating heating system that reduces the risk of ice formation. With a 7 year warranty, you can rest assured knowing that Helmet Heat will protect your home for many years to come.